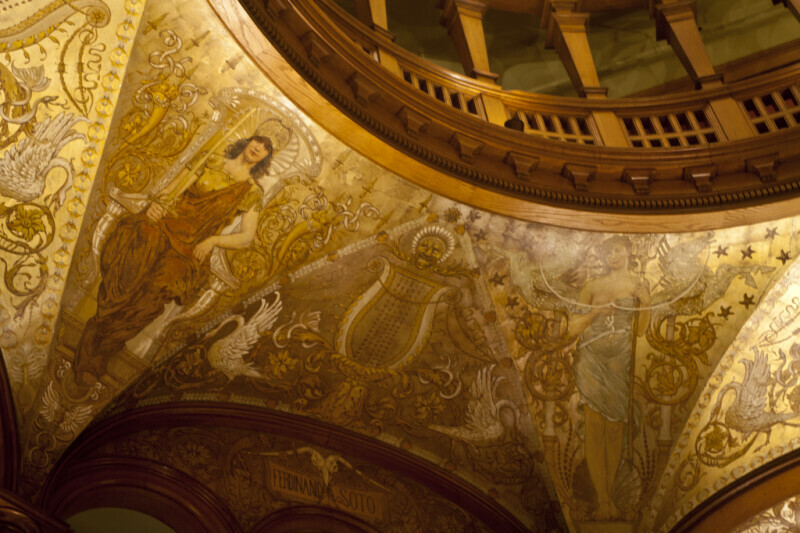 This is part of the Rotunda, at the Hotel Ponce de Leon. This area is painted, and gilded. The paintings include, people, birds, and lyres. The arches, below the paintings, are marked with the name of Ferdinand de Soto, who was better known as Hernando de Soto.